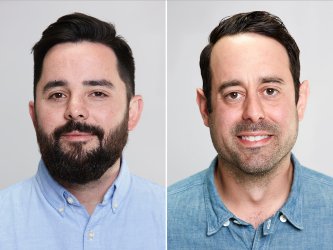 Goodby Silverstein & Partners has elevated creative duo David Suarez and Danny Gonzalez in executive creative director roles. The duo, who joined the San Francisco-based shop in 2014, have been leading accounts Liberty Mutual Insurance, Credit Karma, StubHub, NFL Media and the Golden State Warriors. 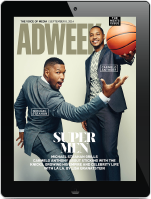 Their work includes a recent spot for Credit Karma, called “First Steps,” that chronicled one couple’s trials and tribulations of buying a home, NFL’s “Heaping Cup” that played on the old Folgers commercials and the Golden State Warriors’ “Strength in Numbers” campaign refresh. Prior to GS&P, Suarez and Gonzalez held a stint at TBWA\Chiat\Day and then spent nearly three years at Barton F. Graf in New York where they worked on the Little Caesars account and Ragú’s “Long Day of Childhood” campaign. They began their career together at J. Walter Thompson New York.